Get involved. 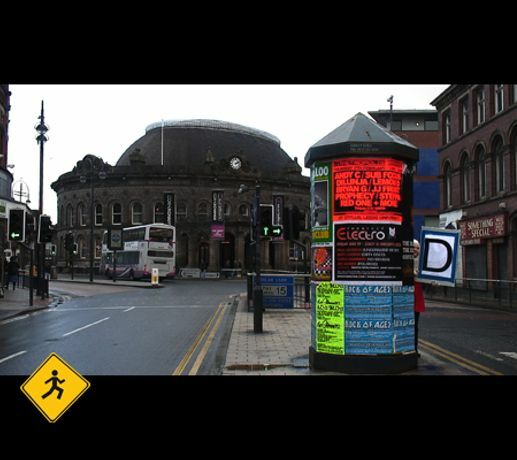 The www.DoGoSee.com Project needs your help for Situation Leeds. DoGoSee is an interactive/photographic/travel/mapping/mobile phone using/research project. Visit the gallery to see Ben Halsall and Megan Smith’s quirky documentation of previous attempts to map Leeds, Berlin and Highbury, London. Take up the role of exploring Leeds using a special DoGoSee kit containing a mobile phone, handheld GPS device and a sample jar for collecting an air specimen and be a part of the project yourself, seeking out the suggestions made on the DoGoSee blog. Upon discovery of the destination, person or thing, the information captured will be uploaded onto the web-site. Come and get involved or log onto their blog and provide them with ideas of what to do, go, and see in Leeds. Let them visit the streets of Leeds through your imagination!